Log file analysis, or the method to really understand how search engines are visiting and indexing the content on a website by looking at the server logs, is an aspect of search engine optimization that is still underestimated and seen as too tech-savvy. OnCrawl’s core DNA is to evangelize such technologies by providing an easy access to and understanding of the data that matters. In addition to its SaaS log analyzer – used by companies like Future, Busbud or Major League Baseball – OnCrawl has recently developed a Splunk connector to make it easier for IT departments to share access to log files with SEO teams. Splunk is a data aggregation tool that processes, among other things, web server log files and that is used by major companies in the United States. OnCrawl‘s Splunk integration automates the uploading of log files to a private, secure FTP space associated with a user account. This facilitates the process by eliminating manual actions that take up time. It also ensures that log files are uploaded daily, preventing gaps in the data. The integration provides the benefit of offering additional log file analysis compared to the information Splunk can offer. 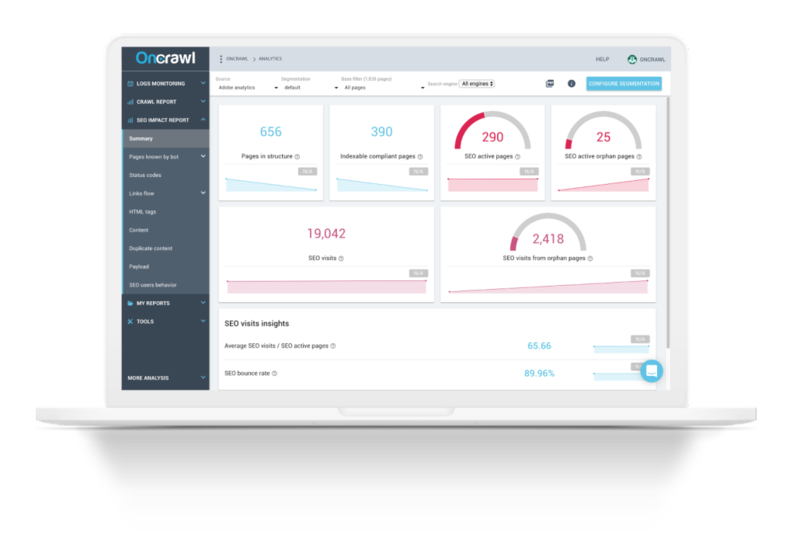 OnCrawl provides in-depth cross-analysis – such as crawl behavior details, a desktop vs mobile visits distribution or even the correlation between ranking and crawl frequency – between log data from Splunk and data from the crawl, OnCrawl’s core technology. 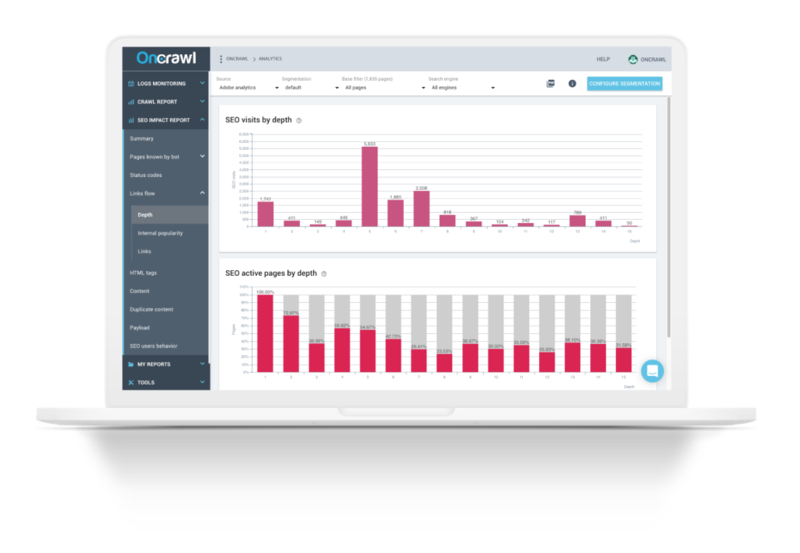 OnCrawl’s newest integrations aim at delivering actionable dashboards that can help prove the ROI of SEO optimizations. Adobe Analytics, also known as Omniture, is a leading web analytics solution according to Forrester Wave™. They provide extensive insights regarding visits, page views, or bounce rate to improve the user journey and help search marketers monitor strategic business objectives. OnCrawl’s Adobe Analytics integration goes further by combining these data with crawl data and log files. It offers a new, granular level of insight into the impact of SEO. Search marketers can then understand how the influence of SEO on organic traffic by pages and groups of pages, identify important pages that should generate SEO visits, determine how users are reacting to different types of content, and analyze precise usage metrics that influence a website’s positions and conversions.